The NHL has suspended defenseman Slava Voynov for the 2019-20 season as well as the 2020 playoffs for "unacceptable off-ice conduct." Voynov, then with the Los Angeles Kings, was suspended indefinitely by the NHL following an arrest on Oct. 20, 2014. He was eventually convicted of misdemeanor domestic abuse and was sentenced to 90 days in jail. In July, Voynov's conviction was dismissed by a judge in Los Angeles County, paving the way for his return to the NHL. The NHL is the only one of the four major North American sports leagues without a specific domestic violence policy. Every incident is treated on a case-by-case basis and is determined by commissioner Gary Bettman. The NHL Players Association says it is reviewing the NHL's decision on Voynov. The NHLPA has the option to appeal to an independent arbitrator. Bettman's decision came after an investigation by the NHL and an in-person hearing with Voynov in New York on March 21. "Today's ruling, while tailored to the specific facts of this case and the individuals involved, is necessary and consistent with the NHL's strongly held policy that it cannot and will not tolerate this and similar types of conduct, particularly as directed at a spouse, domestic partner or family member,"Bettman said in a statement issued Tuesday. The Kings terminated Voynov's six-year, $25 million contract after the arrest and placed him on their voluntary retirement list. Voynov has not played in the NHL since and instead has played three seasons with St. Petersburg in the KHL. 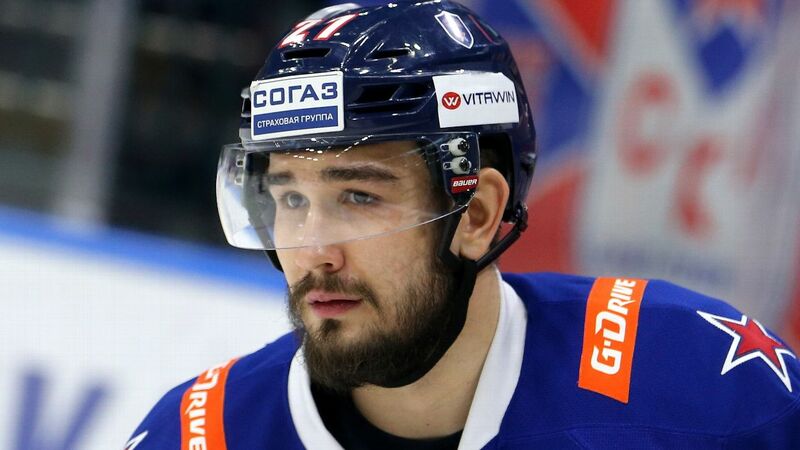 Voynov also competed for Russia in the 2018 Olympics. Contingent on "good behavior," he will again be eligible to sign a contract with an NHL team starting on July 1, 2020.